As consumers, most of us automatically think brand names imply quality and safety. That’s a reasonable line of thought. After all, if a brand has sold enough to be that successful, that probably means they provide a quality product. But what about when it comes to managing your money? Do the big brands deliver better service? Certainly, the advertising and marketing out there make them seem like safe and smart choices. Unfortunately, that’s not always the case. In fact, the big brand-name firms usually have decidedly non-consumer-friendly business models. Product-focused. Most of the big brand-name firms make the majority of their profit from selling products such as mutual funds, exchange-traded funds (“ETFs”), or insurance. So the service side of the business is set up to sell the products, in addition to providing you advice. This sets up a big conflict of interest; you never know whether you’re getting good advice or if you’re getting a product recommendation. Not true fiduciaries. Most of the big brand-name firms are not true fiduciaries. Fiduciary means that the professional must, by law, always put your interest before theirs. In many of these big firms, due to their structure, that’s not a requirement. Instead, they are simply required to recommend something suitable to you (even if it’s a more costly product that pays them a higher commission). Or some of these firms may be fiduciaries part of the time, but not 100% of the time. While that is better, it’s still up to you to be on guard that you may be recommended products that simply pay the advisor a higher commission. Alternatively some firms may be “fee-based.” That means they are primarily paid by fees, but still may be paid commissions on some products. While this may be an improvement over many firms, there will still be times where you may get product recommendations for which your advisor receives a commission. Advertising drives new business. These firms have huge advertising and marketing budgets, which drive new business. While that’s a good thing for the firm, since it may be growing despite not having happy clients. That’s why most people are better served working with small firms that get new clients primarily through referrals. In that case, the firm’s management needs to ensure their clients are kept happy to continue growing the firm. Relationship managers. Based on their advertising, you’d think these firms are the best at what they do: the best investors, the best financial planners. While of course there are good and bad advisors everywhere, overall, the organization is more driven by sales. So you may find that the financial advisor you work with has received more training in sales than actual training in investment and financial planning. Jim Cahn notes in Forbes.com that most professionals at these firms are “relationship managers”, not the investment gurus some investors may have been hoping for. Loyal to shareholders, not to you. Additionally, most of these firms are publicly held, so their ultimate loyalty is not to you, the client, but to the company’s shareholders. Even the most honest advisor might be immune to these incentives, but still feel pressure to meet quotas to keep his or her job. Clearly, the brand-name firms are riddled with potential conflicts of interest. Additionally, investment expenses are usually higher, since you’ll likely be sold their proprietary products (which are usually more expensive). 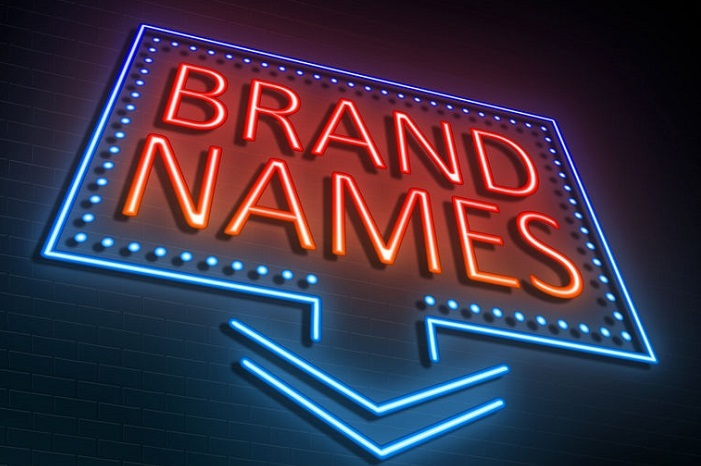 If you choose to work with a brand-name firm, it becomes your responsibility to determine what advice is in your best interest, and what might just be a product pitch. Fortunately, there is a better way. You can work with an independent financial advisor. Loyalty to You. If you choose an independent advisory firm that is structured as a “Registered Investment Advisor” (employees will be called “Investment Advisor Representatives”), these firms are required to act as your fiduciary. All conflicts of interest must be disclosed to you in writing. Because they are legally responsible for this, they are highly motivated to make sure you receive only high-quality advice. Fee-only. If you look for a firm that is fee-only, you can avoid any ties to product companies and commissions. This is the most consumer-friendly structure for most people, as you can then be confident you’re receiving true advice, not getting sold any products. Not all independent firms are fee-only, however, so be sure to ask. Some may be fee-based, which means they do receive commissions certain times. Dependent on Word-of-Mouth. Unlike these big brand-name firms with millions spent on advertising, the small firms rely on clients to recommend family and friends. Unhappy clients can put them out of business. This helps make it likely you will receive good service and enough attention. Technicians, not Salespeople. In a smaller, local firm, the focus is usually on providing great results for clients, not on being a great salesperson. There’s usually no budget for huge advertising campaigns. In fact, most firms rely on referrals to grow, so they can’t afford unhappy clients. This is good news for you as a client; you’ve got a firm highly motivated to ensure you’re happy. As you can probably see, there are potentially big benefits to you working with a smaller, independent firm. Can you improve on that? Fortunately, yes. One knock against the vast majority of firms in the industry, independent or brand-name, is that they don’t report their investment results. While it’s normal—and demanded—in the corporate and institutional world, few advisors to individuals and families voluntarily report their results. This creates a problem, as there is no way to evaluate an advisor’s skills before you hire them. Fortunately, one solution exists. The CFA Institute created and maintains a “best practice” standard for disclosing investment results. These standards are called GIPS®, short for Global Investment Performance Standards. The Chartered Financial Analyst Institute is a global association of investment professionals. This organization is responsible for credentialing investment professionals all over the world. Firms that want to comply with the CFA Institute’s Global Investment Performance Standards agree to measure investment performance according to specific rules. They also agree to have their results reviewed by an independent third party to ensure they are reporting information correctly. With GIPS® standards, you get the transparency you need to compare and evaluate financial advisors. In other words, this allows you to compare apples to apples. You can learn more about GIPS® in this article. You can search for GIPS®-compliant advisors here. Hopefully, this helps you understand a bit more about the inner workings of the wealth management industry. Your money is important, so it’s worth your time to do your research before hiring or switching advisors. 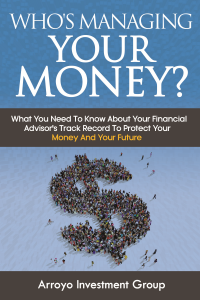 Wondering what you need to know about the financial advisor managing your money? Find out with our free eBook. Is your financial advisor or wealth manager good at their job? Your future is too important. Invest a few minutes today to make sure you hire (or are working with) someone who is truly on your side, and capable of investing for your future.